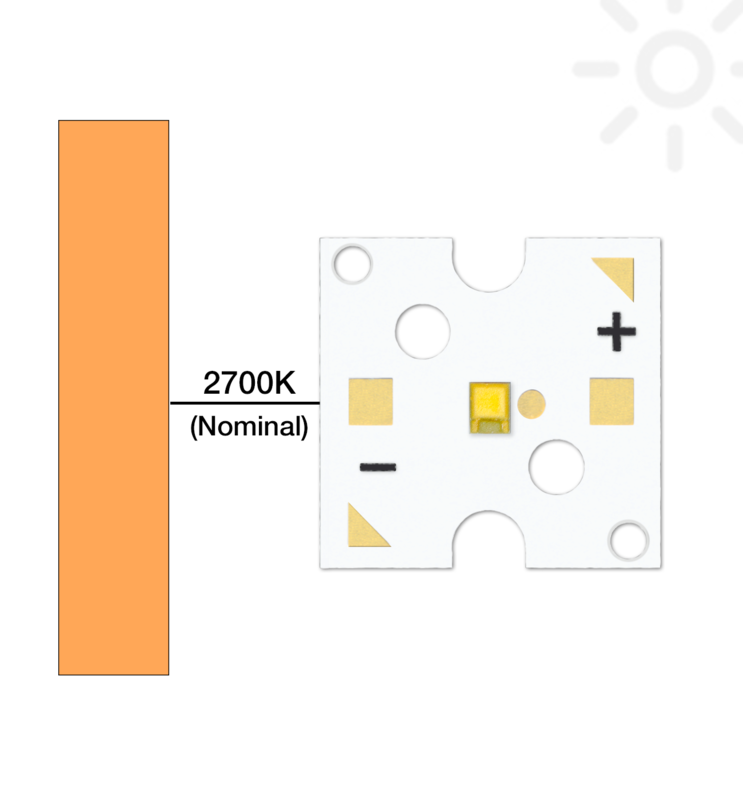 The SZ-01-K1 LED module features a single LXZ1-2780-3 2700K LUXEON Z LED soldered to a thermally efficient, 10mm (0.4") square, 1.6mm (0.063") thick MCPCB aluminum base with temperature test point. Typical lumens output of center flux bin. Values based on 500mA and a Thermal Pad temperature of 25 °C. Typical thermal resistance from the LED Junction to the bottom of the board. The Saber Z1 module requires careful attention to mounting and cooling to ensure that the junction temperature of the LED is kept well below the maximum rating as specified in the LED documentation published by Lumileds. Before fastening the module to the heat sink, ensure that the two mating surfaces are perfectly flat and clean in order to maximize heat transfer to the the sink. This module is not designed to be fastened with screws. The Saber Z1 has been specifically designed to accommodate all 10mm square Carclo optics. You will find a complete list of 100% compatible optics here. The Saber Z1 is provided as part of a Carrier Tab. The tab is v-scored so that the LED module can be easily separated from the carrier. The carrier tab makes it easier to handle the Saber Z1 during transport, storage and module, minimizing the risk of damage to the LED emitting surface. 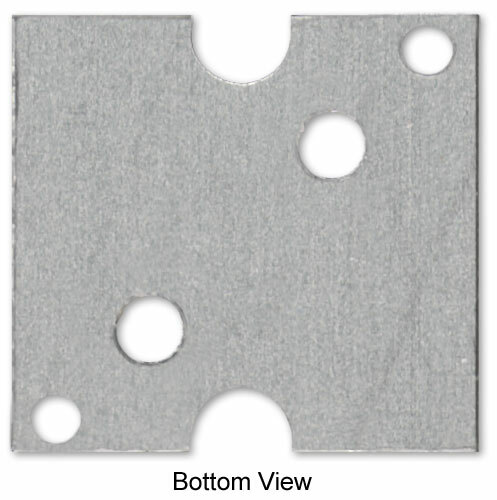 If you order more than one piece of this part, pieces may be shipped as part of a routed panel that is v-scored so that each carrier tab can be separated from the panel.